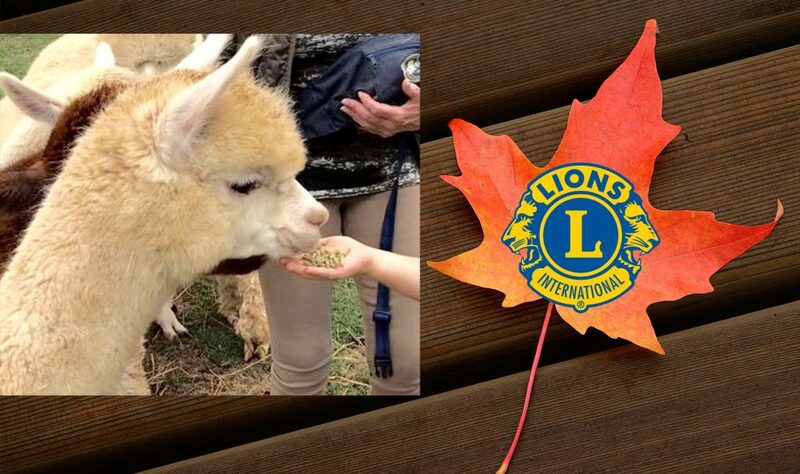 Enjoy an autumn day of family fun at the District 9SE Lions Alpaca Fall Fest, a fundraiser supporting the Iowa Lions Foundation. Tour the Apple Blossom Alpaca Ranch in Wayland, Iowa, with award-winning alpacas. Feed the alpacas. Enjoy lunch on the grounds. Relax around the firepit. Take the kids on an authentic hay ride. 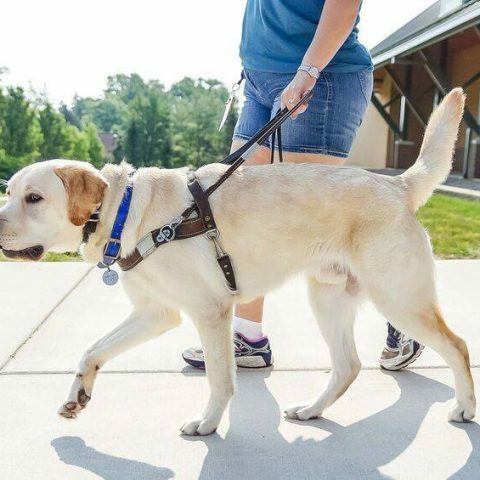 All proceeds go to the Iowa Lions Foundation, which supports six different charitable entities in Iowa: Iowa KidSight, the Iowa Lions Eye Bank, the Iowa Lions Hearing Aid Bank, education for blind children, the Iowa School for the Deaf and the Iowa Lions Cochlear Implant Center. 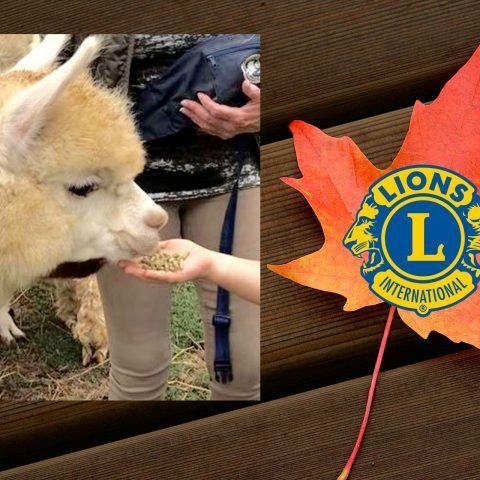 We are so thankful to Lions Brian and Marianne Pattyson, owners of Apple Blossom Alpaca Ranch, for opening up their ranch for this event, and to the Wayland Lions Club for acting as hosts. In that the alpacas at Apple Blossom Alpaca Ranch are show animals, they are super cute and soft. That soft wool also translates into lush alpaca products, which are available for sale in the gift shop at the ranch. 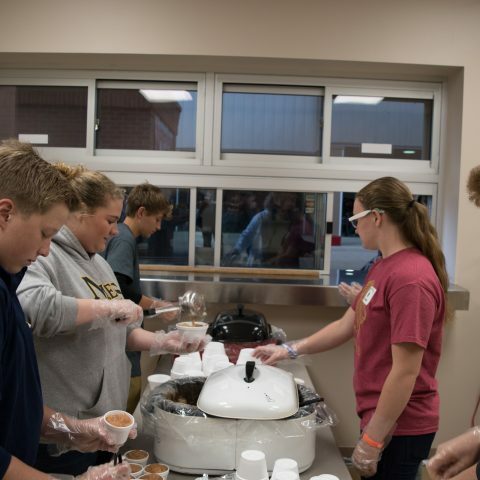 In addition to donating all of the proceeds from food and ticket sales to the Iowa Lions Foundation, a percentage of the sales from the gift shop during the Lions Alpaca Fall Fest will go to the Wayland Lions Club to help with their community projects. Apple Blossom Alpaca Ranch is located at 1009 Dakota Ave (Hwy 55), just a wee bit north of Highway 78 outside of Wayland, Iowa. Watch for the Lions Clubs flag at the driveway.